This divine crystal tiara boasts a halo of hearts that clutch onto the finest of clear Austrian crystals. Pleasing on the eyes, this stunning wedding tiara or prom tiara will make the perfect finishing touch on that all important occasion. 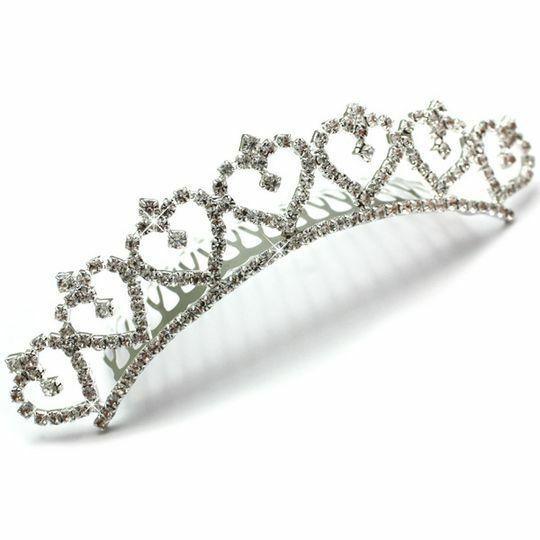 Quality crystal comb tiara suitable for weddings and proms.